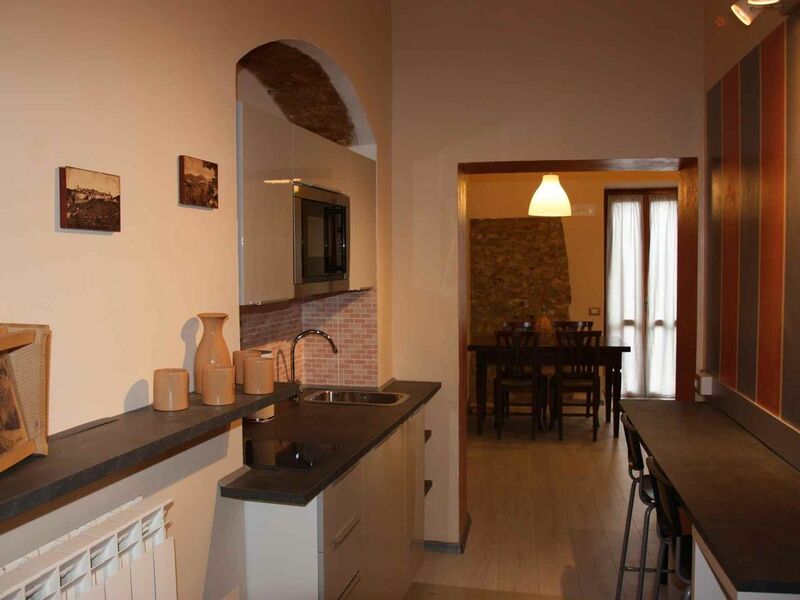 Small apartment in the historic center of the medieval village of Stroncone. Completely renovated, it offers guests the opportunity to spend a pleasant stay with the comforts of modern accommodation in an atmosphere of the past. The cottage, built on two floors, is very comfortable and has an entrance hall, kitchen, living room with balcony, double bedroom, bedroom with bunk beds, two bathrooms with shower. Welcome: enjoy the cottage respecting it as if it were yours. You can consider our little house as YOUR HOUSE, feel free to use all that the apartment offers. The apartment is at guests' disposal, it can not be reached by car but it is possible to park for free at 150 meters and take advantage of the internal lifts in the historic center. In the guestbook inside the apartment you will find all the instructions to use the appliances and many other indications (restaurants, excursions, services ...) to spend a pleasant and carefree holiday. We will come to welcome you at check in and check out, whose hours are flexible within the limits of our possibilities. Perfect Apartment -- so I stayed a second period of time! I was fortunate enough to stay a second period in this beautiful home! It is 100% comfortable, elegant and easy to love. This is a beautiful apartment, perfect in every way, and owned by the most wonderful people! Casetta Antica is wonderful! Quiet and located within a lovely village with very friendly people. Carola and Paolo have created a lovely home and they are eager for you to enjoy your stay. I cannot recommend this lovely yet convenient home too highly!! 6 stars! Delizioso appartamento in storico paese di Stroncone con eccellente vista panoramica casetta perfetta con tutti i servizi nuovi , ottimo rapporto qualita prezzo e cordialita e disponibilita della signora Carola propietaria dell'appartamento. Moreno ve lo consiglia vivamente .